That’s a master-class recipe I stole from Guardian’s ‘How to cook a perfect…’ section. Due to my Turkish fanaticism I’m in for anything that has lamb and aubergines in it. 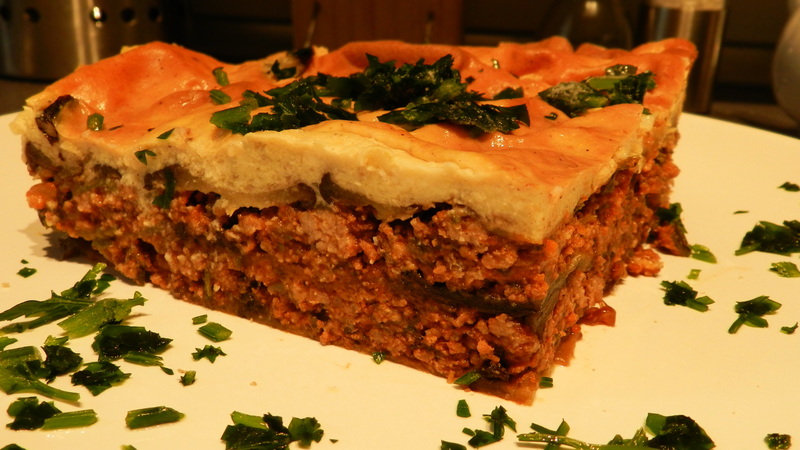 They say moussaka is Greek but this dish is well known and cooked in the whole Mediterranean – Arabic region. 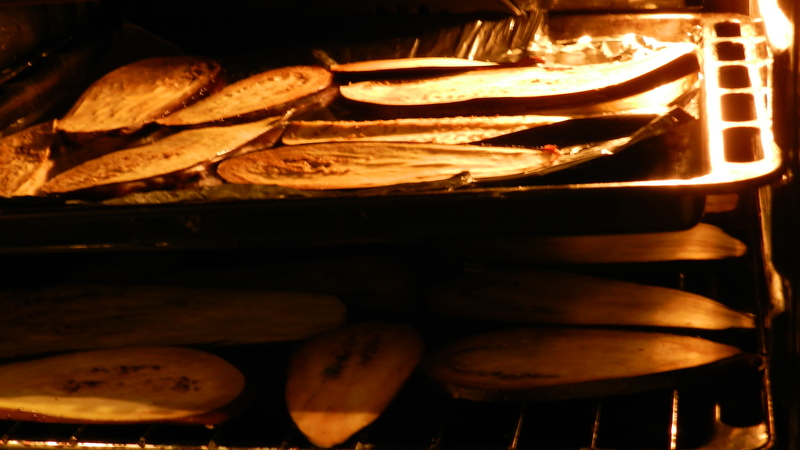 Set up oven to 180 Celsius and grill sliced aubergines (5 cm thick long slices, brushed with olive oil and salted) until they turn soft and golden (20 mins). Finely chop onions and fry in a large pan until transparent. Stir in crushed garlic, oregano and cinnamon and cook for a few minutes. 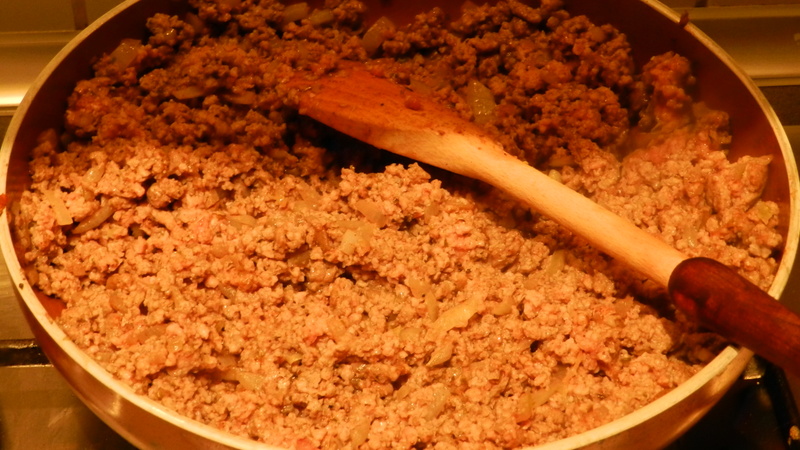 Add minced lamb and cook until lamb is brown. Add tomato puree and wine, simmer for 1 minute and keep on a low heat for 30 minutes until liquids reduce. Add salt, pepper and chopped parsley. Melt butter on a small pan and stir in the flour keeping low heat on. Heat up the milk (don’t let it boil) and add in flour with butter. 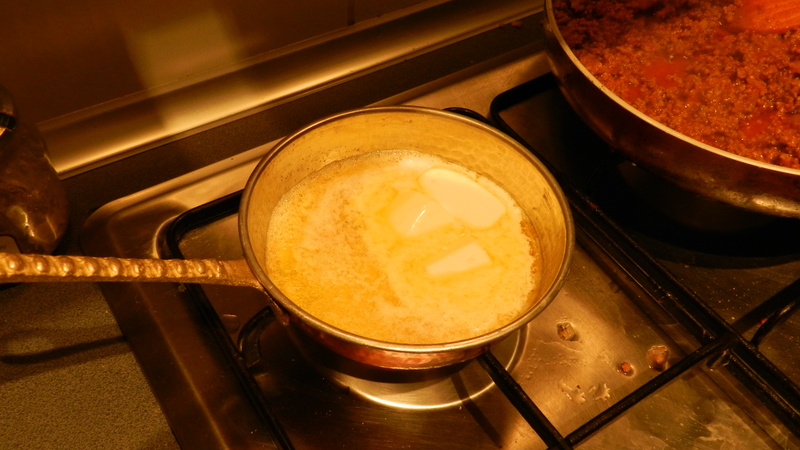 Gradually add cheese: keep on stirring until the sauce thickens. Set aside for a couple of minutes and beat in the eggs. Add 1 flat teaspoon of nutmeg, salt and pepper. Divide aubergines into 3 parts: 1 layer goes to the bottom of the baking dish, top it with the half the meat, arrange 2nd part of the aubergines on top, cover with the remainder of meat and 3rd part of aubergines. Cover with the sauce and bake for 45 minutes until the cover is well browned.